UPDATED WITH THE GIVEAWAY WINNER: Congratulations Danielle! Please email me (paigetaylorevans at gmail dot com) with your info and I'll hook you up as soon as Fancy Free is in my hands!! Thank you everyone! There simply aren't adequate words describe how grateful I am for you! This is a blog post I've been wanting to write for YEARS!!! Because it means my dreams have literally come true! 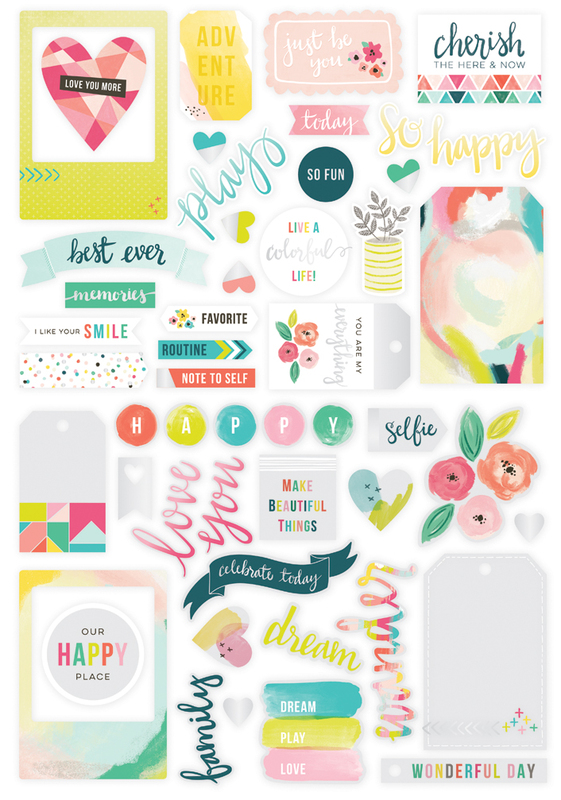 I am so excited, elated, ecstatic, exhilarated, pleased, jumping for joy, thrilled, delighted, and every other "happy" word there is, to announce that I have my very own scrapbooking collection with Pink Paislee! 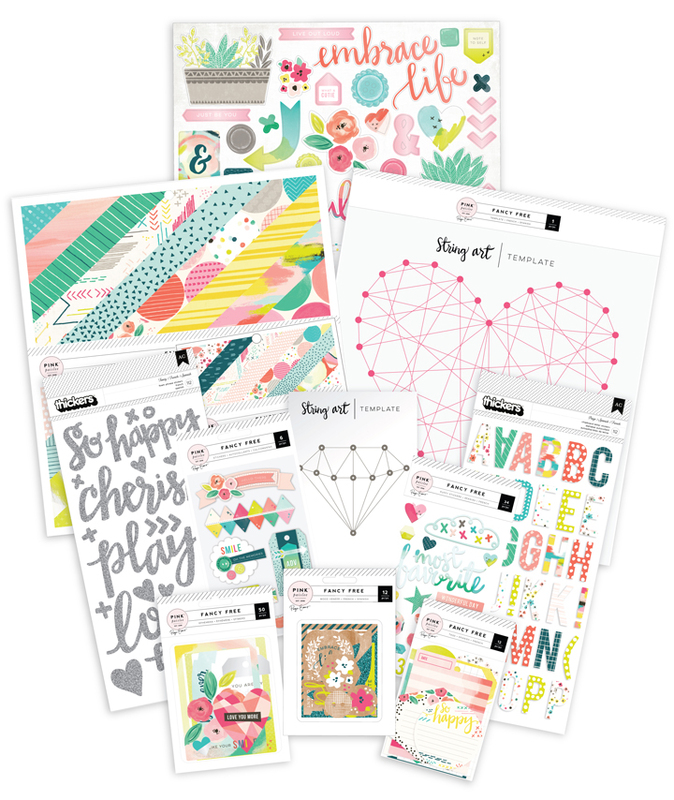 Like unto Amy Tangerine, Dear Lizzy, and Shimelle for American Crafts & Maggie Holmes for Crate Paper (my scrappy idols!) 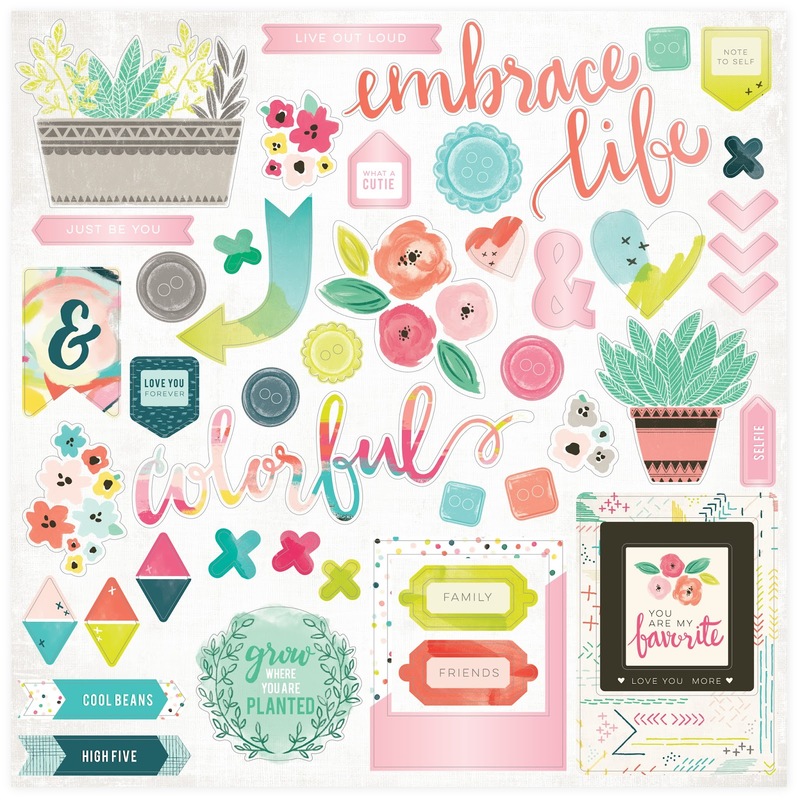 I hope to create lovely lines with Pink Paislee and help spread the joy of scrapbooking. 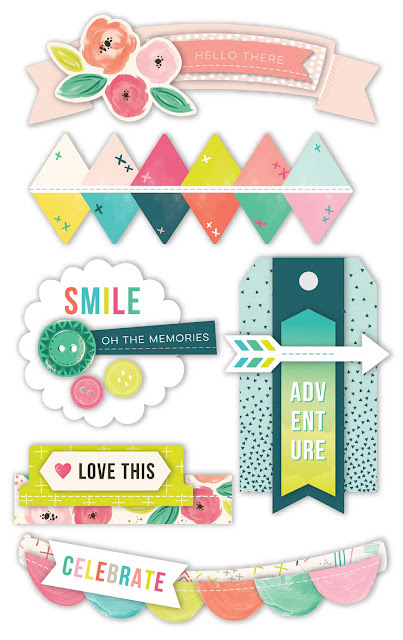 Earlier this year I got up the courage to ask American Crafts if we could collaborate - specifically with Pink Paislee. As fate would have it, they said YES! We sent lots of emails back and forth, had fun video chats, started a secret Pinterest board for inspiration of what I wanted my line to look like, and six months later, here we are! 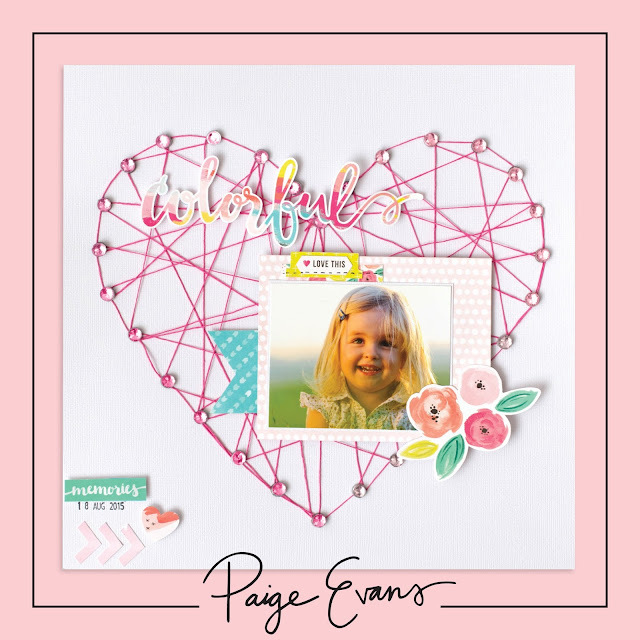 The official "blurb" for Fancy Free: Introducing Fancy Free, the debut signature collection from inspiring teacher and crafting innovator Paige Evans. 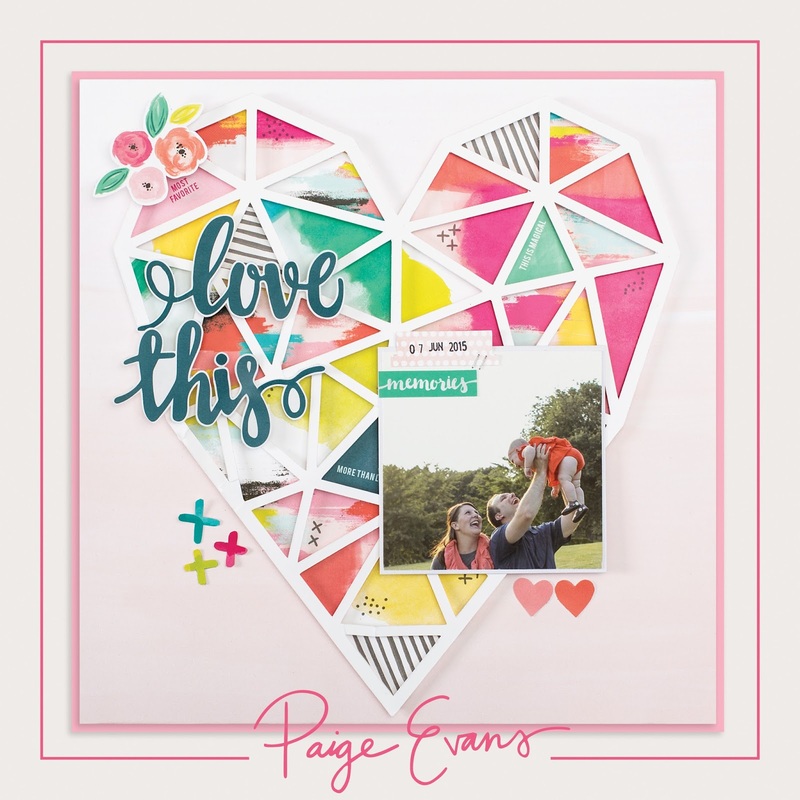 Bursting with beautiful colors and creative new products, Paige’s collection will help you create impressively intricate layouts in almost no time at all. 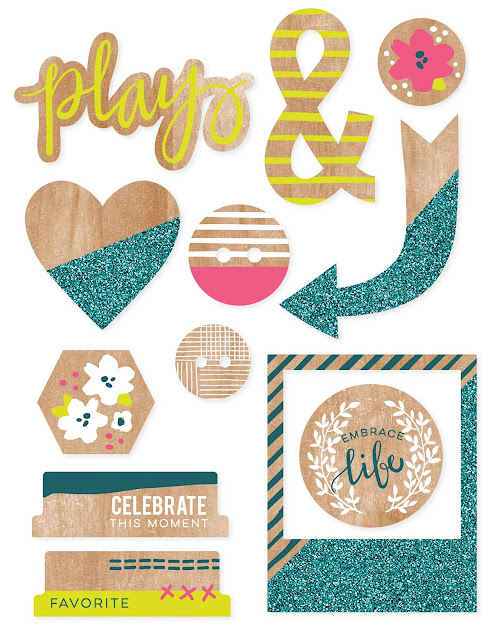 Playful, whimsical and fun, Fancy Free is the start of something special. I've seen a handful of things over google video chat and it's going to be better than Christmas when that box of goodies lands on my doorstep! Here are some of the products that you will be able to find in Fancy Free which will be available in stores in March 2016!! Let the countdown begin!! Cut it out and use it up on the front, and a cool ombre triangle design on the back. Lovely flowers and a fun painted patches of pink patterns on the B side. 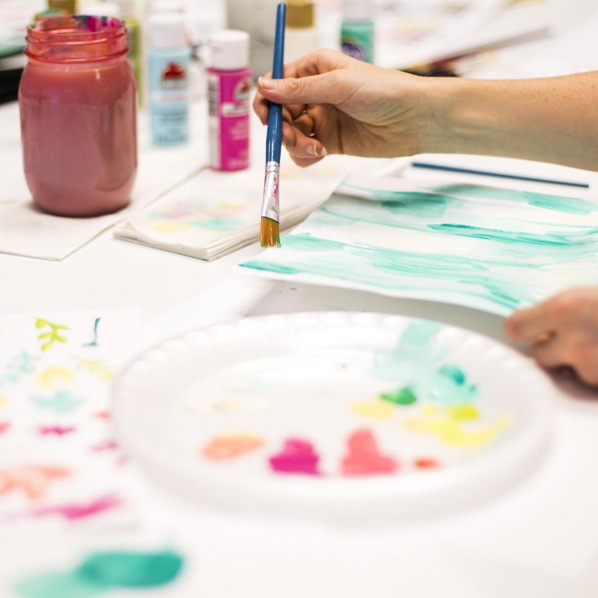 So many ideas rolling around for the painted circles paper! Can't wait to see how this one is used. And a gorgeous blue painted ombre paper I can see for backgrounds. 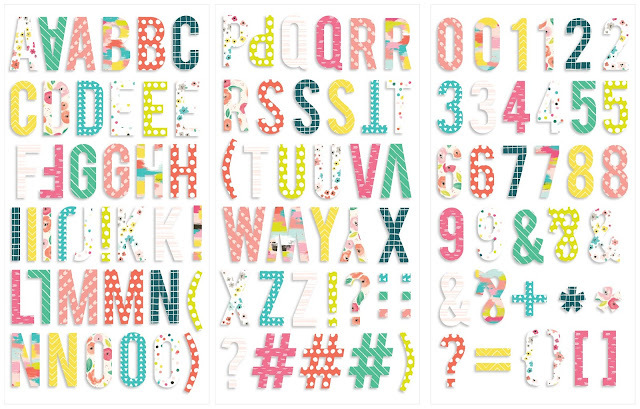 These will make good staples for subtly patterned solids. A super fun multi-colored patterned paper and more PINK! I love pink. Another great solid colored paper and I pretty much LOVE the multipatterned diagonal stripes! Oh the possibilities! 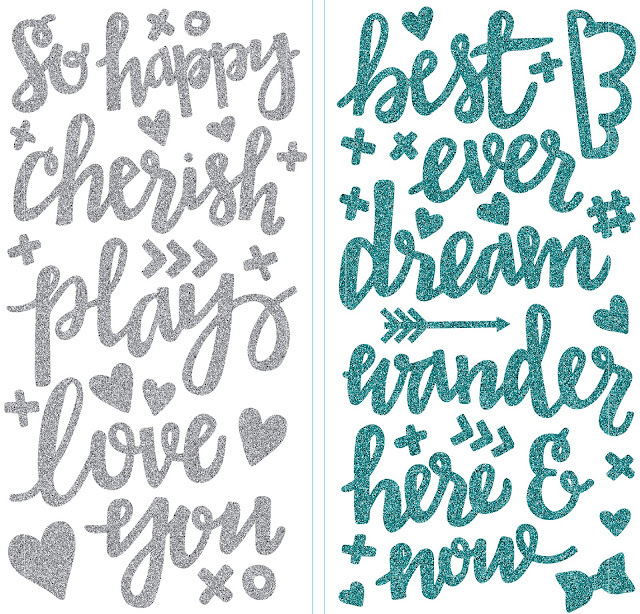 So you know how I love to punch lots and lots of patterned papers into little bits for paper piecing? Well, this paper is perfect because it has 36 little punchable patterned squares on ONE piece of paper! 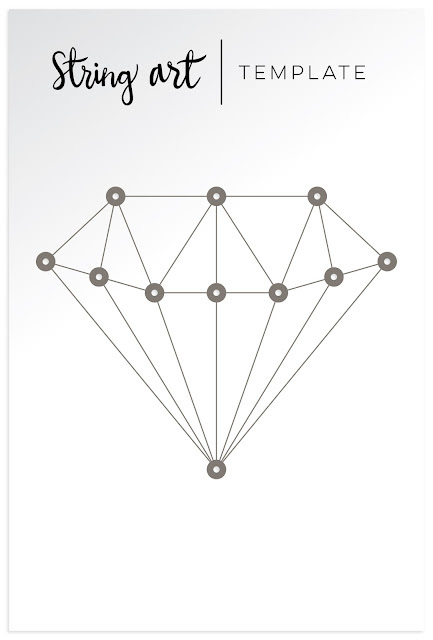 Big bang for your buck! And the yellow ombre paper will make such a lovely background. Paper that reminds me of confetti and another subtle patterned solid paper this time in gray. I just love the painted look of this one and the bright teal on the back. These flowers are just begging to be fussycut! 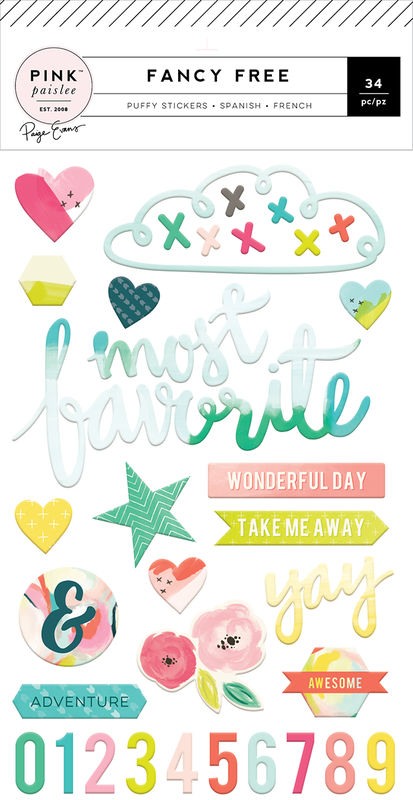 And the whimsical green paper is fun with white and dark blue stripes. This paper is my absolute fave. The painted pink ombre will make such a beautiful background paper and I can't WAIT to actually stitch through the printed stitches! This circles paper is totally NEAT because the circles align! Meaning if you punch or cut one out, there will be an exact corresponding pattern/phrase on the other side! I love that there's a healthy dose of pinks & blues so you can get girly or more masculine by picking & choosing! And introducing String Art Templates! 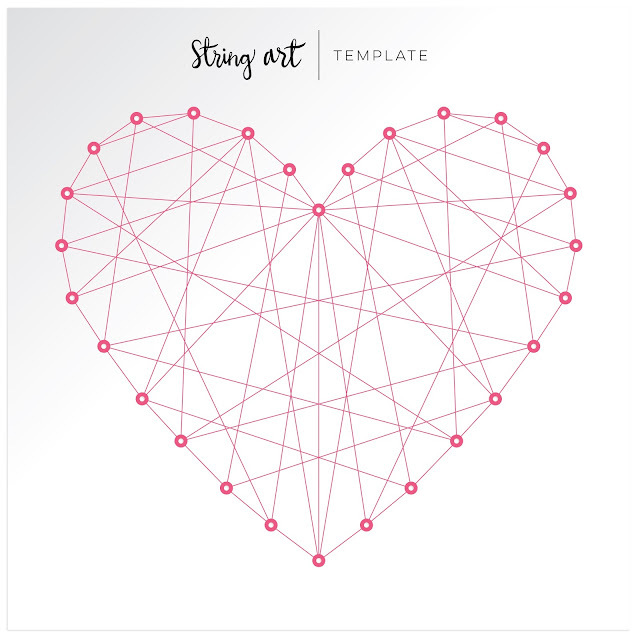 I'll be demoing how to use the string art kits at CHA - YES, I'll be at CHA! In just 21 days!! Do come say HI to me at my booth! Thank you so much for your love and support and joy in this journey. 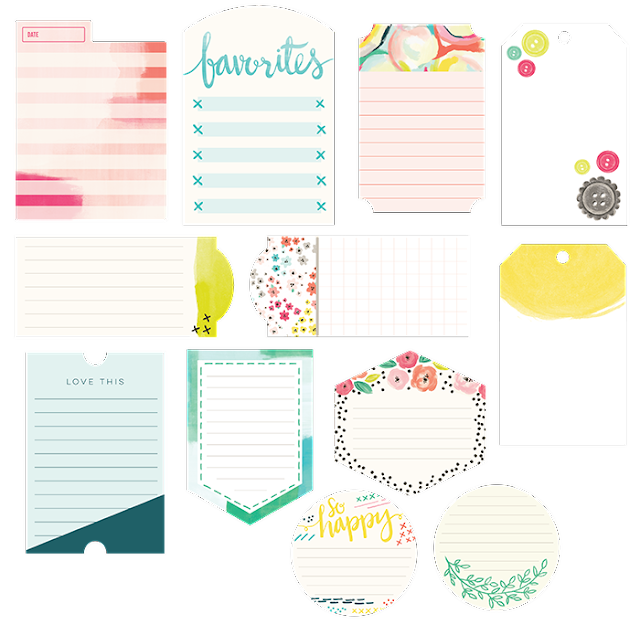 To say thanks I'd like to offer a giveaway: a big prize pack with all things Fancy Free to one lucky individual, once I have the supplies on hand! How does that sound?! Simply leave a comment on this post and I'll announce the winner here on Saturday December 26th 2015.